Based in Cologne, Ketzer ("heretic" in German) is comprised of five individuals who joined together as teenagers to release Satan's Boundaries Unchained (2009). Hailed as one of the best blackened Thrash Metal records of recent years, the quintet's debut launched them out of the underground and onto some of Germany's most prestigious festival bills – such as Party San and Rock Hard. Their first European tour took place soon after in 2011. 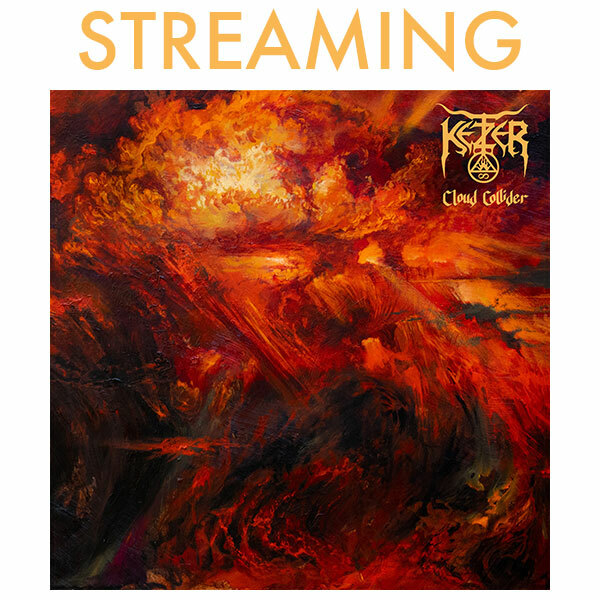 In 2012, Ketzer released their sophomore album, Endzeit Metropolis, which saw the band's musical direction progress: Their raw energy was channelled into a more open-minded, yet faster and darker kind of Heavy Metal. Following a second European trek (featuring Tribulation and Venenum) and more of the scene's finest festivals like Extremefest and Hell's Pleasure, Ketzer then embarked on their biggest journey so far: the band's first USA tour. With a small collection of freshly written songs, they broke new ground on American soil in 2014, and upon their return home, were inspired to write new material once again. In 2016 the band released Starless, their third album and the first one on Metal Blade Records. It took the listener on a journey that was unexpected yet familiar at the same time. Consistently following their path with a stripped-down and raw yet melodic version of their sound, Starless set another milestone in the heretics' history. This time, the European roads were conquered in complicity with fellow Black Metal outlaws Svartidauði and Primordial. That year and the next, Starless was brought to more festivals like Summer Breeze and Rock Hard, for a second time. For three years now the band has been working on something new, and the result is something new indeed: Somehow linking all trademarks essential to the sound of Ketzer now and then, but taking it all one big step further, these new tunes might well be the strongest Ketzer songs to date. Recorded at Markus Stock's infamous "Klangschmiede Studio E" as well as Laurent Teubls "Sculpt Sound Studios" in autumn 2018, the new Ketzer album has it all: raging drum beats and thrashing riffs as well as epic melodies that will haunt you long after the last tone has faded away. Fans can expect a special highlight on the album's first single "No Stories Left", to which the legendary Proscriptor McGovern of Absu fame has lent his striking voice. A suitable visual expression for this new effort has been found by cover artist Adam Burke and illustrator Johannes Stahl. The pact is strong and this album is a storm. The Queen of Winds! Cloud Collider will be released on April 12, 2019.